It is no secret that catfish respond extremely well to vibration and sound. Our Catfish Rattles have been designed with this specifically in mind and can easily be clipped to a rig to add even more attraction to your hook bait. 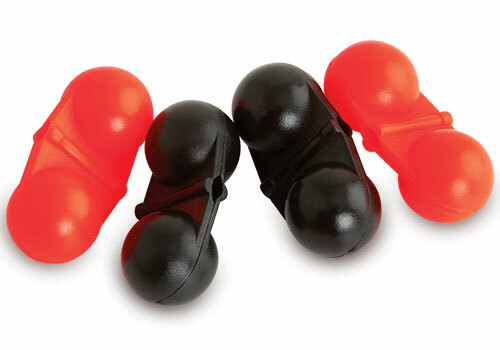 They feature twin chambers and are available in packs of four containing both red and black rattles.